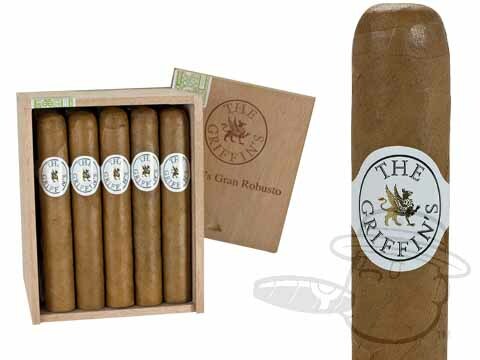 Griffin’s cigars are shrouded in the same mystique that has surrounded the Gryphon, a mythical creature whose lore goes as far back as Ancient Egypt. 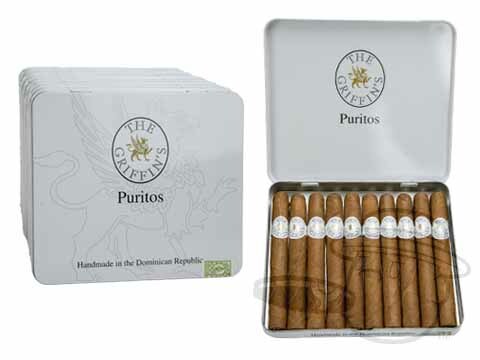 These mellow and delicious cigars are named for the Griffin’s Club in Switzerland, and are made with tobacco from the Cibao Valley in the Dominican Republic. The Cibao Valley is the most fertile location in the country, and the tradition of tobacco cultivation has been existent for over 500 years. Under the supervision of master blender Hendrik Kelner, Griffin’s cigars are carefully hand-rolled to ensure the same quality in every stick, and great care is taken to guarantee that only the finest tobacco leaves are used in production. 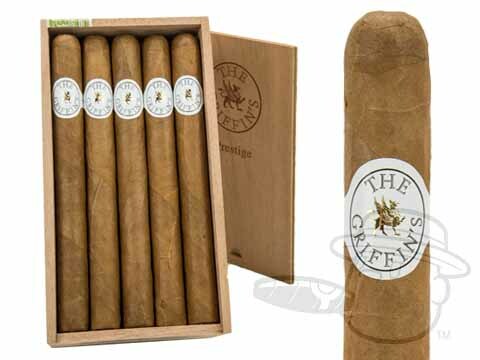 The original Griffin's cigars have the most extensive list of sizes of any Griffin’s line. From the stubby Perfecto (4 5/8 x 53) to the sizeable Prestige (7 ½ x 50), there is a size in the classic Griffin cigars line for any aficionado. 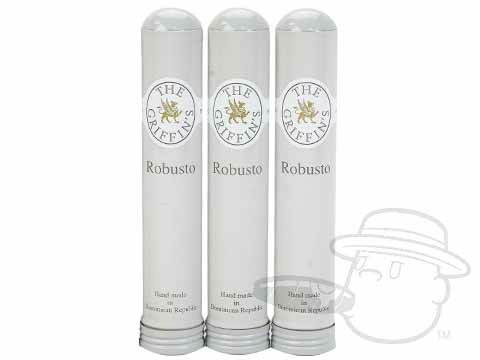 Some Griffins cigars sizes are also available in durable metal tubes, which guarantee humidification for at least 3 months, making them perfect for the traveling smoker. Classic Griffin cigars are great for any occasion, whether for that special get together or for the everyday smoker. If you enjoy a mellow cigar that has an exquisitely balanced flavor and character, try a box or a five pack of classic Griffin cigars today! 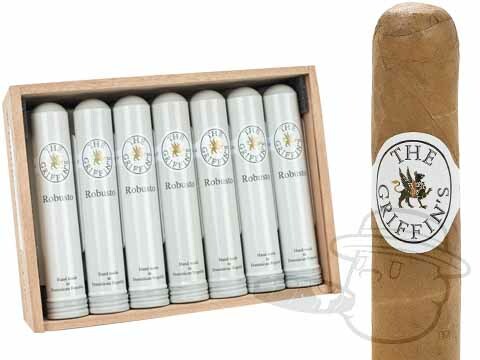 The Maduro-wrapped Griffin's cigars boast the same quality of the Griffin’s classic, but instead uses an aged Connecticut Broadleaf maduro wrapper. These wrappers command more attention than the regular Connecticut shade wrappers. 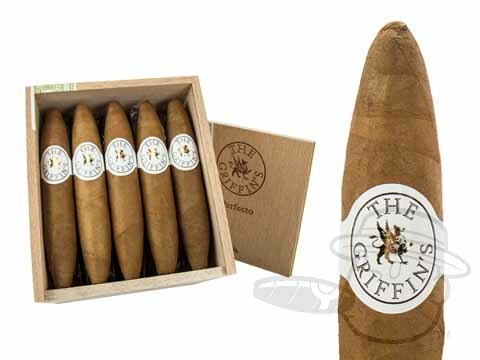 Griffin’s Maduro cigars are certainly stronger and more aromatic than the classic Griffins cigar, but they are not overpowering by any means. For those of you looking for a full-bodied cigar that’s going to knock your socks off, the Griffin cigars Maduro is not it. 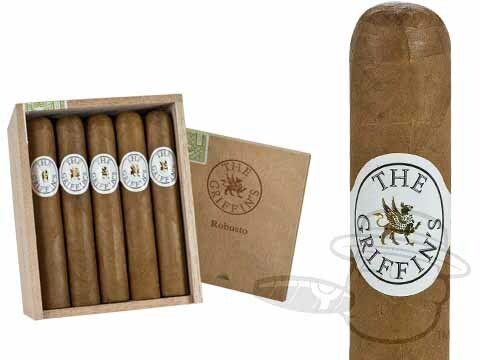 But, for those of you looking for a quality Dominican maduro-wrapped cigar that is strong, but not overly strong, the Griffin's cigars Maduro is a perfect fit. 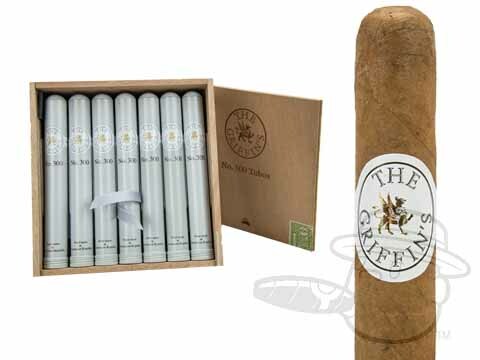 Lastly, Griffin cigars has decided to offer the on-the-go smoker the Griffin’s Griffinos cigarillos. 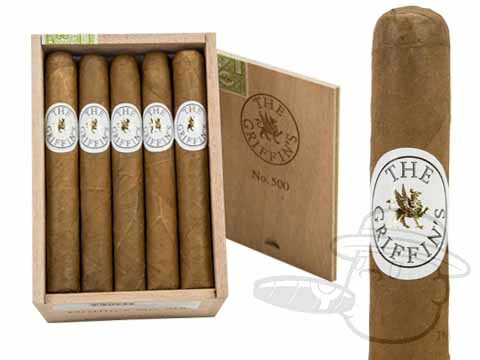 These little delights are made in the Dominican Republic with the same creamy Dominican tobaccos that are used in the classic Griffin cigars. 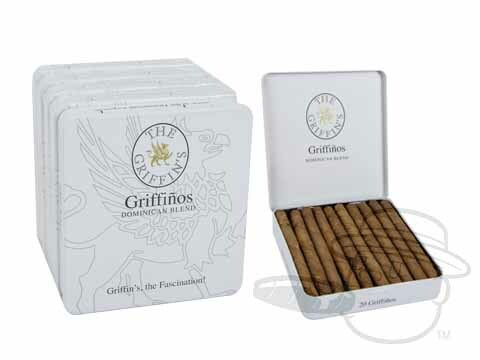 Griffin’s Griffinos are beautifully balanced, harmonious cigarillos that maintain a unique Caribbean flavor. 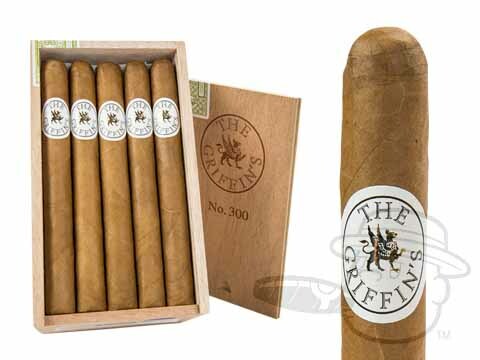 You can purchase these in either single tins of 20 or bricks of 100; either way, the Griffin’s Griffinos will bring a smile to your face with every puff. Quality, consistency, and variety are three of the most important aspects of a Griffin cigar. Whichever one you choose, though, you’re guaranteed a smooth, balanced smoke that will have you lighting up another just as soon as you put the first one down. If you have any questions about Griffin’s cigars, feel free to give us a call at 1-888-41-CIGAR (1-888-412-4427) We'll be happy to help you find the Griffin's cigar that's right for you.